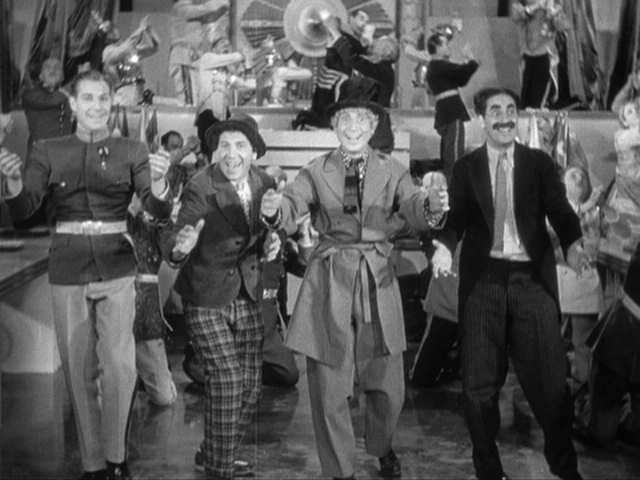 Another film that I had previously seen, but forgotten, Duck Soup (1933) brims full of word play and almost diabolical sight gags. 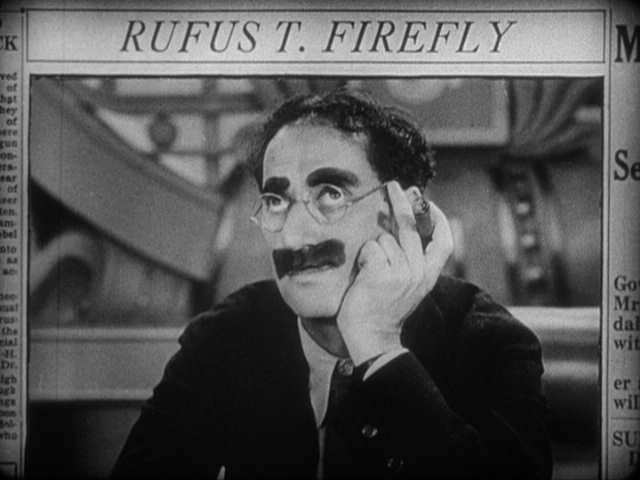 Where many comedians would be satisfied with simple slapstick, the Marx brothers will, in a single scene, keep layering joke after joke. Some are obvious, such as Harpo constantly cutting things with his scissors. Others are laugh-inducing sleights of hand. How many times did I have to pause, rewind and play in order to see just how the lemonade vendor's hat ends up in Harpo's or Chico's hands? 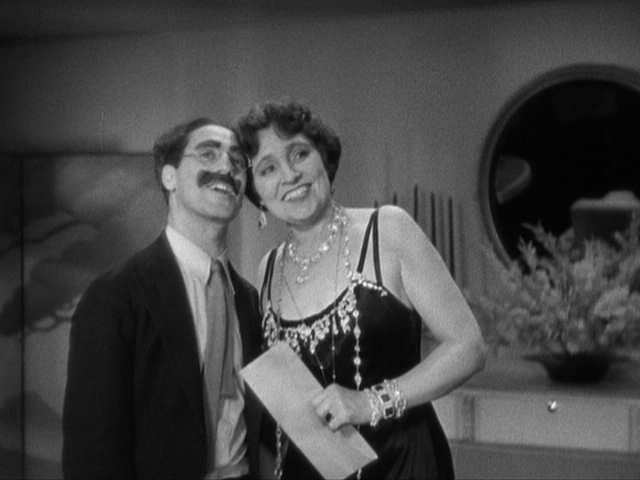 Out of the gate, Groucho drops a string of punning insults to the ever-present, under-appreciated Margaret Dumont. The Four Marx Brothers. On the left is Zeppo, of whom Groucho once reputedly said, "Off camera, he was the funniest of us all."